Caitlin Weierhauser won Helium Comedy Club’s “Portland’s Funniest Person” Competition in 2017and was voted Favorite Comedian in the Willamette Week Readers Poll in 2017, and 2018. 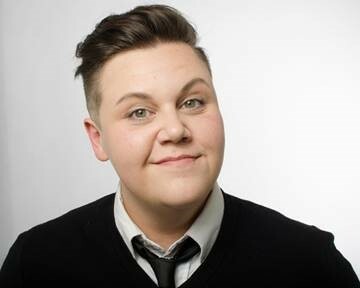 Caitlin got New Faces at Just For Laughs in Montreal, and came in top 3 at Big Sky Comedy Fest, has performed for Bridgetown Comedy Festival (2015, 2016, 2017), Bumbershoot, Pickathon & All Jane Comedy Fest. Caitlin can recently be seen on Season 2 of THE BENEFITS OF GUSBANDRY on Amazon Prime and in the upcoming Disney movie TIMMY FAILURE.